Of the many nineteenth-century Indo-Western cultural confrontations, none was more troublesome than that of evangelical Christianity's challenge to indigenous religious beliefs and practices. The British conquest of most of the subcontinent had thrust aside the indigenous rulers and their pattern of rule, as well as an increasingly aggressive propagation of the Christian gospel by Western missionaries. The East India Company's initial policies toward Christian missionaries were at best ambivalent. Until pressure at home was created by the evangelical Christian interests, the British parliament eliminated these restrictions in the charter renewals of 1813 and 1833, opening British India to missionary endeavor. While some Britons admired the achievements of Indian civilization, others, including the evangelical Charles Grant, believed that India was a backward place, stagnated by Hindu beliefs and practices. If Britain was obligated to uplift India, then surely Hinduism, which Grant conceived as the ultimate source of India's many social evils, must be undermined. As early as the 1830's Christian representatives were visiting towns in the remote corners of the countryside. As these endeavors became more widespread, so too did popular antipathy and antagonism. It is generally accepted by most scholars on the subject that in many Asian countries political nationalism was preceded by religious awakenings that arose in response to Christian missionary activities. Vishnu Bhikaji Gokhale, Arumuga Navalar, Dayanand Saraswati, were some of the earlier reformers and revivalists. Although given scant attention by Indian historians, their contribution and defense of Hinduism is remarkable. Vishnu Bhikaji Gokhale was not the first Marathi polemicist against the Christian missionaries, but he was one of the most colorful and widely known. Arumuga Navalar is regarded as the "father" of modern Tamil prose and a staunch defender of Shaivism against Christian missionary attacks. Dayanand Saraswati was an aggressive reformer, who directed his efforts against the missionary faiths, Islam and Christianity. Modern day revivalists and social worker, Mr. Pandurang Vaijnath Athavale, is well known for selfless work for the good of humanity. After reaching its maturity, Hindu civilization had to withstand the shock of two alien intrusions. The first of these, was the series of invasions by Islamic peoples from Central Asia that ended in the establishment of political control over almost all of India. The second shock was the coming of the European peoples as a part of the great wave of expansion that had begun late in the fifteenth century, and, as far as India was concerned, reached its height in the nineteenth century. The effect of Western intrusion was greater on the Indian society. Vishnu Bhikaji Gokhale was born in 1825, the tenth child of a modestly placed Konkanastha (Chitpawan) Brahmin family residing in a village, Shiraval, near Mahad in the Thana (now Kolaba) district. His education appears to have consisted only of a few years in a village school along with some of study of the Vedas in preparation for his sacred thread ceremony. At the age of fourteen he worked at the customs office at Sangamseshvar Bandar, leading in a few months to appointment with pay at Thana in the Customs Department. The young Vishnu seemed safely on the path of the laukika (secular) brahmin, secure in "service". Yet this bureaucrat-in-becoming seems to have spent his own time engaged in religious exercises and disciplines, memorizing stotras and mingling with sadhus. His custom service postings were at several places in the Thana area - Vasai, Bhiwandi, and Kalyan - each of which was also in close proximity of Bombay. It was while posted at Uran, a small port on the harbor opposite to Bombay, that Vishnu Gokhale sensed that other work awaited him. As he was drowsily emerging from sleep one morning, he heard what he took to be a divine voice calling: " Are, Vishnu. If you live in the company of beast, are you therefore one? Take a decision - who am I? Abandon service, go into the wilderness lost in philosophic meditation. Inspired, Vishnu resigned his appointment, retained but a loin cloth and a staff, and commenced several years of penance and meditation at the sacred hill of Saptashringiri near Nasik. There, he had further visions giving him a mandate to propagate dharma throughout the land. In 1852 he moved first to Nasik and then on to Pandharpur. He stayed on at this great pilgrimage center for three years during which time he learned traditions of the varkari panth, studying Eknath's Bhavartharamayana. Subsequently the young ascetic, now known as Brahmachari Bawa or Vishnubawa Brahamachari, published his own book. Bhavarthasindhu (sea of devotion), which gave emphais to dyan or "special knowledge". Dynan, he explained could be found only in Vedic religion and realized through devotion (bhakti) as expressed by the saint-poets of Maharashtra. Apparently, he also heard Christian missionaries at Pandarpur criticizing Hinduism and resolved that he would answer them. In September 1856, Vishnubawa Brahmachari went to Bombay to step upon a wider stage. Having forsworn marriage, abandoned worldly employment, and absorbed the available teachings of regional and Sanskritic religious knowledge, Vishnubawa stood poised to combat the Christian missionaries and to defend dharma. Yet, his defense by no means excluded the possibility of, even the necessity for, that Hindu society and culture could themselves be reformed. Christians had been proselytizing in Western Maharashtra since the days of the Portuguese conquests. (For more refer to chapter on European Imperialism and FirstIndologists). However, the nineteenth century saw the entry of a new element - the British and American Protestant missionaries fired with a zeal for bringing India to Christ and doing it rather quickly, too. Relying upon the sympathy of the Governor, Sir Evan Neapean, they ultimately established residence in the city. Initially utilizing the Serampore Press Marathi grammar, dictionary, and New Testament, these missionaries commenced a vigorous campaign of street preaching near Hindu temples in Bombay. The American Congregationalist Gordon Hall, spoke in hostile tones about Hinduism. He called Hinduism, " a shapeless mass of cruelties." In 1829, Dr. John Wilson, a Scottish missionary arrived in Bombay along with his evangelical ambitions. In May 1830, public debates were inaugurated at Bombay. In the following year, Morobhat Dandekar debated with Wilson for six successive evenings. He published a tract setting forth his views, Shri Hindudharmasthapana (Foundations of Hindu Religion) which in turn called forth rebuttals published by Wilson. Dandekar entered the fray with a new broadside against Christianity, Upadesha Chandrika (Moonlight of Admonition), which a missionary journalist in Dnyanodaya asserted even went so far as to use arguments of the "books of infidels like Voltaire and Tom Paine. Hindus were beginning to use the same technologies employed by their Christian antagonists. Now oral debates were being recorded and printed, and additional polemics were published. In this context of over a quarter of a century of Christian-Hindu disputation and polemic, and with the intensification of missionary endeavors provoking greater apprehension and hostility among Hindus, Vishnubawa Brahmachari was not the first Maharashtrian Hindu to enter the lists against Hinduism's critics. Rather, he was the first to launch a widely recognized defence of Hindu dharma, using an effective style reinforced by an aggressive counterattack against Christian doctrines. Even his missionary opponents had to concede that he possessed "an agreeable manner, remarkable fluency and ease, a fine command of the Marathi language, (and) an air of sincerity and piety." At the same time, Vishnubawa decried the fact that because Hindus were ignorant of their own religion, they consequently could not defend it against missionary critiques. Yet Vishnubawa recognized that Hindus had to go beyond denigrating other religions, turning instead to a clear exposition of what was essential in their own system of belief. Thus he began writing his magnum opus, a survey of what he called the ultimate kernel of Hindu faith. entitled the Light of Vedic Religion or Vedoktadharmaprakasha. This work opens quite simply: "Dharma mhange kay?" "what does dharma mean?" Vishnubawa Brahmachari died in the Viththal Mandir at Bombay on Mahashivaratri, February 18, 1871. To many of his large circle of admirers, Hindus, both Gujarati and Maharastrian and some Parsis, he had triumphed and turned back the tide of conversion. He became a symbol of resistance to the criticism launched against Hinduism by evangelizing missionaries, and his considerations of what dharma truly means, he contributed to the objective survival of the ancestral faith. In his vigor, his polemics did defend dharma without foreclosing on the desirability or possibility of reform. True to his given name, he remained Vishnu - the preserver. Arumuga Navalar is regarded as the "father" of modern Tamil prose and a staunch defender of Shaivism against Christian missionary attacks. Less known are his attempts to reform Shaivism itself. He worked within the heritage of Shaiva scholars as he responded to the newer challenges of an intrusive Western Civilization. A Hindu of Hindus, affectionately called the 'Champion Reformer of the Hindus', author of numerous treatises on Saiva Literature, was a pioneer prose writer and publisher of rare books of the Sangam Age. Arumuga Pillai, Navalar's original name, belonged to a high-status caste known as Vellalas, a class that along with Brahmins had produced most of the Tamil literati for centuries, perhaps millennia. Born in 1822, he grew up in the Tamil regions of Sri Lanka. Because his father was a Tamil poet, Arumuga Pillai received a solid foundation in Tamil literature at an early age. Like many high-status boys of the second generation to live under British rule, he entered a Christian mission school to study English. Arumuga was twelve when he attended this school as a day student. He did so well that he was asked to stay on the Jaffna Wesleyan Mission School to teach English and Tamil. Peter Percival, the principal asked him to serve as his own Tamil pandit, to assist him in writing and editing hymns and translating the prayer book and Bible. Arumuga Pillai worked with Percival for eight years in his late teens and early twenties, when he wrestled seriously with the questions, What does it mean to be a Hindu? At the time of Arumuga Pillai's birth, Protestants from England and America, had established stations in nine villages on the Jaffna peninsula from whence they conducted vigorous campaigns to convert the Hindus and Muslims into Christians. The first significant Hindu opposition to these efforts emerged in 1828 when the teachers of the American Missionary Seminary at Batticotta (Vattukkottai) began to stress the Shaiva scripture Skanda Purana (Kanta Purana) in their school. The decision angered Jaffna Hindus, who doubted that in such a foreign setting the sacred quality of this Tamil story of Murugan, the warrior son of Shaiva, would be respected or that its esoteric meanings would receive a sympathetic hearing. "Enough, however, was read to convince all who would reflect, that the book is filled with the most extravagant fictions, many of which are of an immoral tendency, (just as the Bible says,) "for the people will walk everyone in the name of his god." Two long anti-Christian poems appeared around this time in Jaffna. They reflected an increasingly vocal opposition. The Vellala poet, Muttukumara Kavirajar (1780-1851), wrote the "Kummi Song on Wisdom (jnanakkummi) and "Abolition of the Jesus Doctrine" (Yesumataparikaram). The timing of their publication suggests a connection with this opposition. The "Kummi Song on Wisdom," moreover attacked the Christian Bible and Christians just as the Christians had criticized the Skanda Purana and Shaivas. In Jaffna, the Christian assault on Shaivism intensified. In September of 1842 over two hundred Hindu men of high status gathered at the monastery (matam) of the Shiva temple in Jaffna to discuss plans for establishing a Veda and Agama school to teach Shaivism. They also agreed to purchase a printing press, if possible, in collaboration with "the white men of this place," and to publish tracts on the absurdities of the Christian religion, "which would effectually shut the mouths of the missionaries and stop their abuse." In October of 1842, when the Veda school opened Arumuga Pillai had been teaching Tamil and English at the Wesleyan Mission School and working with the British missionary Percival for a year. Sympathetic to the Christian arguments, he studied the Bible regularly, but while doing so began to have questions about it. Soon he turned away from it in favor of his own heritage. In 1848, he quit to devote himself fully to his own projects. He had studied in depth the Agamic literature forming the scriptural Sanskrit. He was now adept in the three literary languages of modern religious discourse in the Tamil world: Tamil, Sanskrit, and English. Not surprisingly, his reputation had been growing among local Shaivas as a man who knew more about obscure Agamic literature than anyone else. The Veda and Agama school had not survived and a printing press was still a dream. In 1846 Arumuga Pillai began night and early morning classes in the primary and secondary literature of Shaivism. His students were a few of his friends, young Vellala, Brahman, and Chettiyar men. The classes were free and informal. Soon he crossed the Palk Strait and to Madras, his first trip to India. A Shaiva school was clearly on his mind. Struggling against Christians and some Hindu reformers as well as orthodox priests, he made a dramatic move at the end of 1847 to spread the "Splendor of Shiva" (Sivaprakasam) and disperse the "darkness" shared by Hindus and Christians. He believed that if the people knew the rudiments of Agamic Shaivism acted on them, they would strengthen dharma and weaken the Christians. In 1849, He set out for Madras, with his colleague, Sadashiva Pillai, to purchase a printing press. While waiting for a press, Arumuga Navalar published two texts he had been editing from various copies. One was an important educational tool the Cudamani Nikantu, a sixteenth-century lexicon of 1,197 easily remembered verses giving approximately eleven thousand words, in both their verse and prose forms. The other text, Saundaryalahari, a poem in praise of the goddess, was important for devotion, and was published with comments (urai). He had laid out the lines of his work he would continue for the rest of his life: writing, publishing, preaching, teaching and reform. He openly disputed with the claims and refuted the abuses of the Christians. His literary production was amazing. Among his approximately ninety-seven Tamil publications, twenty-three were his own creations, eleven were his commentaries (urai), and forty were his editions of those works of grammar, literature, liturgy, and theology he thought Tamils should know. With his recovery, editing, and publishing of ancient works, Navalar, laid the foundations for the recovery of lost Tamil classics, a task his successors continued. The religious revival among the Hindus in Sri Lanka was largely due to the pioneering efforts of Arumuga Navalar (1822-1879). This is not the place to narrate in detail the crucial and seminal role played by him in kindling a consciousness among the Tamils in Sri Lanka and South India about their spiritual heritage. In many ways Navalar could be compared to Dayananda Saraswathi (1824-1883) who founded the Arya Samaj in North India. What Dayananda did for the Vedic religion in the North, Navalar accomplished for the Saiva-Agamic faith in South India and Sri Lanka. (For more refer to chapter on European Imperialism and FirstIndologists). SRI LANKA, December 15, 2003: Tamils in several parts of the northeast observed the 181st birth anniversary of the Saiva-Tamil revivalist Sri Arumugam Navalar on Sunday. Sri Arumugan Navalar is chiefly remembered for his work to revive Saivism in Jaffna and South India. He is also considered one of the important pioneers of Tamil revival in the 19th century. Though Sri Arumugam Navalar's 181st birth anniversary falls on 18th December 2003 the Trincomalee District Young Men's Hindu Association organized his Guru Pooja on Sunday. The TDYMHA organized the event with the octogenarian Saivite activist Mr. P. Kandiah (Gandhi master). Attorney-at Law Mr. K. Sivapalan and Assistant Director of Education Mr. S.Vipunasekaram spoke of the services Navalar rendered to Saivism and Tamil language. Many Tamils in South India and Sri Lanka are Saivaites. Sri Arumugam Navalar was born on 18th December 1822 in Nallur in Jaffnapeninsula at a time when several elite and middle class Tamils in Jaffna felt that Ceylon's British rulers were promoting Christianity and the English language at the expense of Saivisim and Tamil. Navalar's original name was Arumugam. For his services rendered to Saivaism and Tamil language and culture, the head of the great Tamil monastery/temple complex in South India, Dharmapuram Aadheenam, conferred on him the title "Navalar" in recognition of his literary and debating skills. Since then he was known as Arumugam Navalar. At the age of twelve he completed his Tamil education under the traditional, non-formal education "Guru-Shisya" mode of learning. He later joined Jaffna Methodist English School, currently known as Jaffna Central College for his English education when Rev Peter Percival was its Principal. Navalar emerged the champion of the Saiva renaissance movement of the nineteenth century, both in Jaffna and South India. He published several ancient Sangam literary works, which were found in Palmyra (Ola) leaf manuscripts. He also wrote learned commentaries to ancient and medieval Tamil grammars Navalar was versatile writer, eloquent speaker and efficient debater. Navalar wrote several books on Saivaism such as Saiva Vina Vidai, which is a Saivite catechism. Navalar developed a prose style even laymen could understand. Arumugam Navalar established schools in several parts of Jaffna peninsula to propagate Saivaism. (source: Arumugam Navalar, Great Saiva Revivalist of Jaffna, Sri Lanka, Honored on 181st Birthday). Rightly described as a human dynamo, Swami Dayananda shook the structure of established Hinduism to its foundations and infused into it new blood and fresh vigor. The founder of Arya Samaj, was a prophet with a difference. 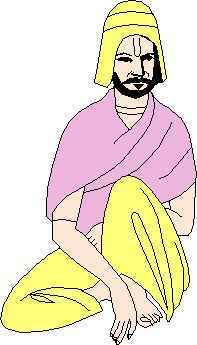 Dayanand is the father of both Renaissance (he brought to life world’s supreme knowledge, the Vedas, with his slogan ‘Back to Vedas) and Reformation. Background: The Punjab, after centuries of Hindu rule followed by over five hundred years of Islamic dominance and half a century of Sikh control, contained three religions. Two of these converted, Islam and Sikhism while the third Hinduism, had neither the concepts nor the rituals necessary for conversion. In 1849, the British annexation of Punjab, introduced the aggressive conversion of faith of Christianity. In time, Christianity threatened each of the coexisting religions. Christian missionaries brought with them new forms of organization and techniques of proselytism. Proponents of each religious ideas sought to defend their beliefs and to discredit those of the opposing groups. It was a struggle of mandan-khandan, of disseminating one's "true" ideas and rejecting others "false" concepts. Exponents of Hinduism and Sikhism struggled to defend their religions in general and sectarian ideologies in particular against the missionary attempts to proclaim the superiority of Christianity. 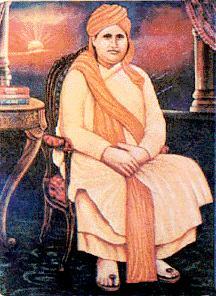 Swami Dayanand Saraswati was born in Tankara, a small town on the Kathiawar peninsula of Gujarat in 1824. He ran away from home in search of his release from the cycle of rebirth and in the process became a sanyasi, taking the name of Dayanand Saraswati. He passionately advocated a return to the pristine purity of Vedic Hinduism, and denounced with intolerant indignation of the post-Vedic Hindu scriptures such as the Puranas. He also condemned idol worship and caste distinctions, advocated full equality for women, initiated a widespread educational campaign with special emphasis on female education, and launched a crusade against untouchability. Rightly described as a human dynamo, Swami Dayananda shook the structure of established Hinduism to its foundations and infused into it new blood and fresh vigor. For more on Dayanand Saraswati refer to chapter on Quotes251_270). Essays on Hinduism - By Karan Singh 1993). (For more refer to chapter on European Imperialism and FirstIndologists). Ever since the dawn of history, Bharat Varsha has always produced great saints and sages in every age, who have made the same supreme discovery - that the God they sought for so many years was no different than their own selves. Each generation has been blessed by these enlightened souls who spread only goodness throughout the length and breadth of India and who had the power to grant a divine boon - the boon of perfect wisdom. 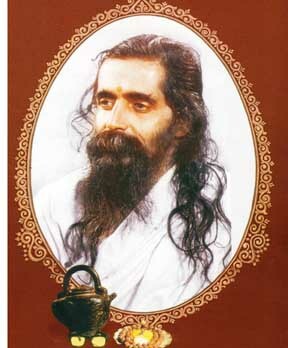 Sri Madhavarao Sadasivarao Golwalkar (1906-1973), Sri Guruji as he came to be affectionately called, belonged to this great tradition. Through his glorious life of selfless service and supreme sacrifice, Sri Guruji gave this message to all his countrymen: 'When the mysterious Unity between the soul and the Divine becomes clear, you will realise that you are none other than God. You will see all your actions as His actions; all your features as His features; all your breaths as His breath'. This was the vision of Sri Guruji who was a perfect human being and this was the vision he imparted to all the Swayamsevaks of the Rashtriya Swayamsevak Sangh (RSS). Our great nation has been celebrating the birth centenary of Sri Guruji Golwalkar, the II Sarsanghachalak of the Rashtriya Swayamsevak Sangh, during the last one year. Sri Guruji succeeded the founder of the RSS and epoch-maker Dr. Keshav Baliram Hedgewar (1889-1940). Under Sri Guruji's inspiring and outstanding leadership, the RSS grew rapidly from 1940 to 1947. However, unfortunately for the country, Islam-embracing, Christianity-coveting and Hindu-hating Congress party in power under the effete leadership of an effeminate Prime Minister like Nehru viewed the growing popularity of the RSS among the people of India as a potential challenge to its monopoly of power after 15 August, 1947. It was a moment of infamy in our national history when the anti-Hindu Congress Working Committee requested the Government to ban the RSS. This was three months prior to the assassination of Mahatma Gandhi. The aim of the Government of India in political collusion with the Congress Party was to isolate the RSS as a cultural organization against the background of the popular sentiments and emotions that were aroused following Mahatma Gandhi's assassination. Sri Guruji was illegally detained without any charge from February 1948 to August 1948. Later, when he requested the Government of India to lift the ban on the RSS, Nehru and Patel covered themselves with eternal disgrace when they told Sri Guruji that they would 'consider lifting of the ban only if Sri Guruji agreed to merge the RSS with the Congress Party.' Sri Guruji, as a true and ardent Hindu, firmly rooted in the traditions of Sanatana Dharma, politely refused to get himself baptised in the holy (!) waters of Nehruvian pseudo-secularism. On his refusal to join the Congress, he was again illegally arrested in November 1948 and detained without a trial till 13 July, 1949. The government of India unconditionally and unilaterally lifted the ban only on 12 July, 1949. In short, Nehru and Patel endeavoured to use the indomitable might of the State to crush the heroic spirit of a great spiritual personality like Sri Guruji Golwalkar and finally kissed the dust with pseudo-secular shamelessness. They stood permanently shamed before the higher court of the world and of Time. Saint, sage, seer, venerable, profound and irrepressible, Sri Guruji was a Titan among men. With his finger constantly on the nation's pulse, with his unceasing concern for the resuscitation and regeneration of the country and its highest life-values, Sri Guruji functioned as a supreme leader to guide the people of India for 33 years from 1940 to 1973. Rising above the lures of position or power or personal glory, his single-minded devotion was to Bharat Mata and Bharat Varsha as a whole. His prophetic utterances always carried the ring and spirit of prophetic truth. He was known for his courageous and fearless espousal of the nation's cause, making no concession to any individual or party. Sri Guruji was fluent in all the 15 languages recognised by the Constitution and made it a point to converse with people and Swayamsevaks from different parts of India in their own mother tongue. Starting from 1943 till 1973, Sri Guruji traversed the country 72 times with tireless energy and Himalayan enthusiasm. No other great man in our nation's history has, it can be safely asserted, toured the country as extensively and as intensively as Sri Guruji. Soon after his last tour of the country, he passed away on the 5th of June, 1973. Sri Guruji stood for Hindu unity, Hindu solidarity, Hindu cohesion and above all Hindu brotherhood at all costs, in spite of all terror and however long and hard the road may be. For Sri Guruji, without strong Hindu solidarity, there could be no national survival. In short, he was a matchless symbol and spearhead of the mighty movement of National Renaissance - the RSS � for well over three decades. Every moment of his life and in every thought, word and deed, he inhaled and exhaled the values of Sanatana Dharma. (source: A great harbinger of Hindu renaissance - By V Sundaram - newstodaynet.com). The inspiration and founder of Swadhyay Parivar and Swadhyay work is Rev. Pandurang Vaijnath Athavale affectionately known by millions of Swadhyayees as "Dada", a reverential common name for an elder brother. Rev. Dada was born of Brahmin parents in the village of Roha near Bombay on October 19, 1920. His father and grandfather were great scholars of Vedic literatures. From childhood Dada was inclined towards Vedic scriptures as Geeta. He mastered many languages like Sanskrit, English and several local dialects. At very early age, he acquired a deep and clear understanding of scriptures, logic, grammer, Greek and European philosophy, Sanskrit and English literature, comparative religions, history and various social sciences. In 1954, Rev. Dada was invited to attend the Second World Religion Congress held at Shimizu City near Tokyo, Japan. This was truly a historic event where religious leaders, philosophers and scholars from many nations had gathered to discuss the question of human happiness. People were concerned about the atomic power which destroyed Nagasaki and Hiroshima. Dada spoke on Vedic philosophy and asserted that Geeta was capable of resolving the dilemmas of man and the general welfare of mankind. He emphasised the necessity of religion in human life. In 1956, he established a residential school of philosophy - "Tattva Jnana Vidhyapith". This institute was to give importance to nothing except God. In 1958, Rev. Dada began devotional visits - "Bhaktiferi". This became one of the basic practices of Swadhyay participants. They travelled from door to door to meet people, and since that time Swadhyay has spread across 100,000 Indian villages and the world. It has transformed the lives of over 20 million people. When Pope Paul VI visited India in 1964, he requested a meeting with Dada to hold philosophical discussions. In 1982, Rev. Dada was the honored chief guest speaker at the celebration of the 15th century saint, St. Nicholas's 500th birthday held in Trier, West Germany. To the delight of those in attendance , he spoke in a scholarly way of the affinity between the doctrines of the Upanishad and Geeta, with the views of Saint Nicholas regarding the theory of human knowledge, mysticism and God. Rev. Dada emphasised that the Hindu doctrine too is not only a view life, but also a way of life, much in common with Christian doctrine. In 1986, at the meeting of world - religion leaders at 'Tirthraj Milan', India, German philosophers Rudolf Haubst and Helmut Pfeiffer dedicated their translation of Nicholas of Cusa's "Vision of God" to Dada. Rev. Dada was given an award in 1987 by the National Wasteland Board of India for the extraordinary success in preserving soil and developing soil and planting forests. In 1988, Rev. Dada was also awarded the prestigious Mahatma Gandhi Prize, the first time in 14 years. Rev. Dada received the 'Lokmanya Tilak Sanman Paritoshik' Award in 1992 for selfless work for the good of humanity. In 1996, Dada received the Ramon Masaysay Prize in the Philippines for demonstrating an outstanding community leadership. 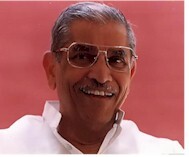 And in 1997, Pandurang Shastri Athavale received the Templeton Prize for Progress in Religion. This prize is valued at $1.21 million, the world's largest monetary award. For the last fifty years Dada has single handedly spearheaded a silent revolution, which aims at social and cultural transformation of man. While treading this path, he had to fight against the deep-rooted tradition, beliefs, rituals and negative thinking prevalent in the Indian society, some of which are inborn in human mind. His work has brought forth a revolution on five fronts. Kalaripayit - Danger and Divinity in an Old Indian Art? Originating at least 2,000 years ago, India's Kalaripayit is perhaps the oldest martial art taught today. It is also the most potentially violent, because students advance from unarmed combat to the use of swords, sharpened flexible metal lashes, and peculiar three-bladed daggers. And yet Kalaripayit is suffused with the divine. A trainee does honor to Hindu deities at every turn - touching the ground with the right hand in homage to the earth goddess; raising that hand to the brow to honor the gods of knowledge; touching right hand to left knee in reverence to Hanuman, the divine embodiment of physical prowess; and uplifting both hands to the shoulders to show respect for Garuda, representing strength. The training space is strewn with symbols -oil lamps, a mirror, flowers - to make the students mindful that the gods are with them. 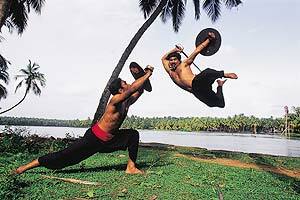 Kalarippayat is said to be the world's original martial art. More than 2,000 years old, it was developed by warriors of the Cheras kingdom in Kerala. Training followed strict rituals and guidelines. From unarmed kicks and punches, kalarippayat warriors would graduate to sticks, swords, spears and daggers and study the marmas -- the 107 vital spots on the human body where a blow can kill. Training was conducted in secret, the lethal warriors unleashed as a surprise weapon against the enemies of Cheras. Still, Chinese traders learned some of the mysterious body movements and took them home to provide the basis of their own martial arts. According to Terence Duke, martial arts went from India to China. Fighting without weapons was a specialty of the ancient Ksatreya warriors of India. (source: The Boddhisattva Warriors: The Origin, Inner Philosophy, History and Symbolism of the Buddhist Martial Art Within India and China - Terence Duke p.3 - 158-174 and 242). (please refer to chapter on India and China for more information).